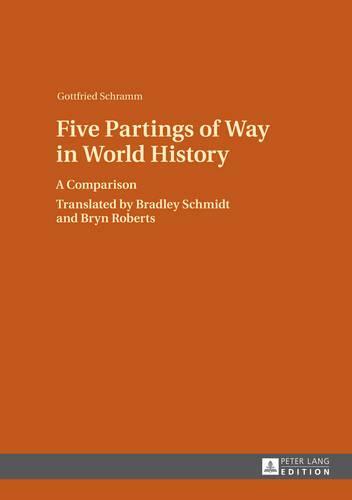 This comparative analysis argues that there were four or, more likely, five major turning points of world history, whose lasting effects are being felt to this day. These turning points show striking resemblances to each other: An apparently coherent community of shared convictions and a shared way of life splits unexpectedly in two, with one section swerving off on the road to a radically new set of values. This has probably been true of the rise of monotheism in opposition to the existing polytheistic norms of Oriental cultures. It has been true of the primitive Christian Church breaking away from Judaism. It was true of the Protestants breaking away from Rome. It also has been true for two secular revolutions: the independence of the United States of America inventing the republican order of representative democracy, and the Russian Revolution, when the revolutionaries decided to give up on peaceful socialism and resort to violence.